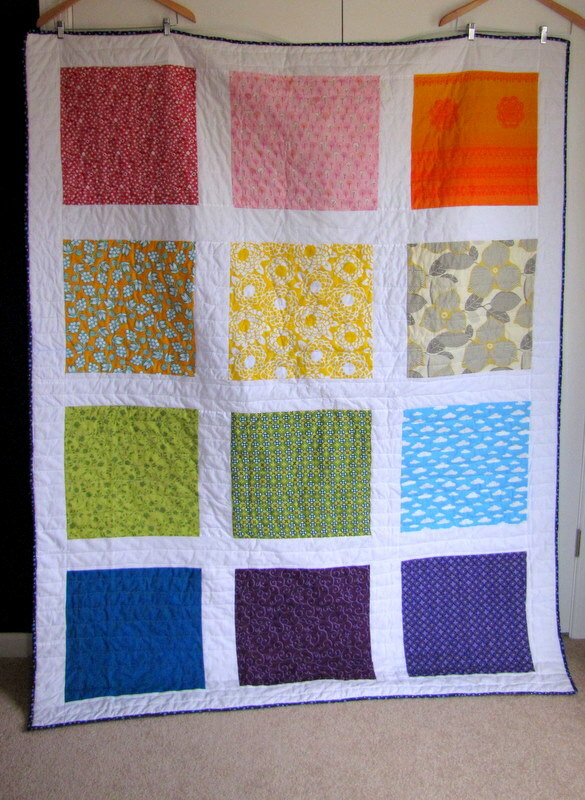 My Rainbow Quilt Has Been Featured! Becky over at Patchwork Posse reached out to me last week and asked me to review the Avalon Quilt pattern from Material Obsession that I used for my Rainbow Quilt. Of course I said yes! Here is the review, mine is at the bottom. So exciting! I loved making this quilt, so I’m happy to be able to show it off. It also, unfortunately, reminds me that I haven’t had much time to start a new quilt since I finished this one. But that’s what summer vacation is for!